The 24-year old made a comeback from injury after being on the sidelines for 11 months due to foot injury. She did her surgery on January 23rd before making a comeback at the Wimbledon event. She reached the semis in Toronto and Cincinnati though. 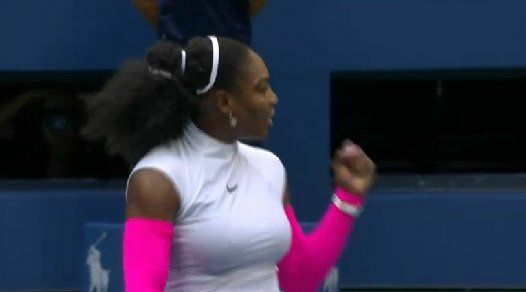 She becomes the third player to win the US Open title outside the Top 10 ranked stars since 1975. The other two were Kim Clijsters in 2009 and FlaviaPennetta in 2015. She is set to receive USD3.5milion in prize money, taking her career earnings to around USD4.52million. Keys, who entered the event as the No. 15 seed, also made a comeback from injury. She missed the first two months of the year due to surgery. She also had another on her wrist before Wimbledon. Her left forearm injury made her miss Rogers Cup in Toronto but she fought her way to the US Open final. The No. 15 seed was tipped to equal Marion Bartoli’s record but she faltered as Stephens ruled the day. Bartoli was the last 15th seed to win a major at the Wimbledon event in 2013.